Personal training in the future will focus more heavily on small group training according to statistics. The focus of one on one training will be to educate clients on how to stay fit and keep their weight to a healthy balance. Whereas, small group personal training will focus on clients getting their workout. Small group training provided by a personal trainer Dubai is a popular, fun and affordable way to gain the expertise of your trainer at a lower cost. It is still a worthwhile investment you should consider when factoring your health and fitness goals. You can achieve all this and still keep the dynamic of personal training both exciting and competitive. What is small group training? And how does it differ from one on one training? Small group training offers people the opportunity to experience the tremendous advantages of motivation and creativity offered by your personal trainer while not having to pocket out large chunks of money in the process. One on one training focuses on specific skills and identifying the postural and movement of the individual ensuring they are on a path to reaching personal health and fitness goals. Some clients can pursue both so they get to focus on benefits gained from small group training combined with their workout concentrating on individual concerns which are specific to their bodies. A small group personal training program is made up of not more than 10 people. 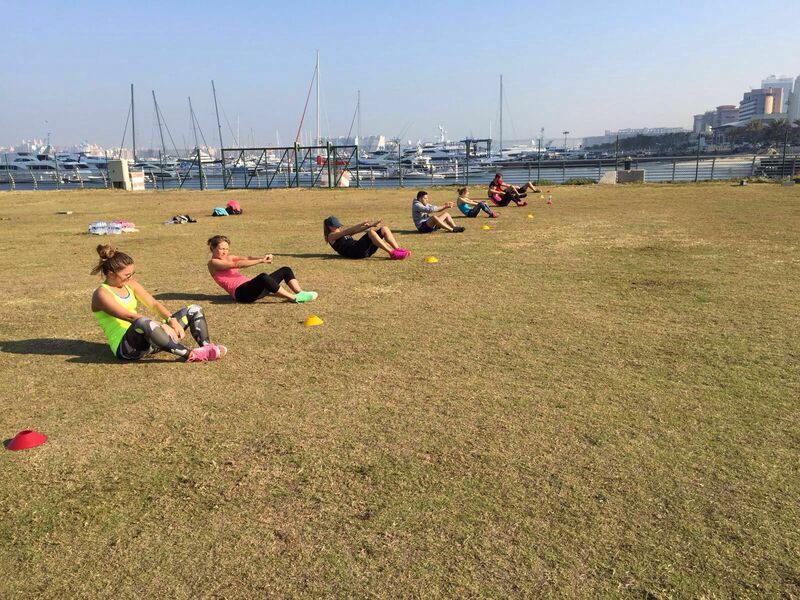 The personal trainer Dubai does not workout with the group; instead the focus is to hold a large boot camp but still make the program exciting and fun! Aside from cost saving, a small group setting offers you the advantage of being encouraged and motivated by not just your personal trainer but also the group itself. A group setting has more energy within and even has a hint of old fashioned competitiveness. The likely scenario is if the participant next to you is giving their all, chances are you will do the same. If you take a one on one personal training session, if you feel like not training, you don’t. Personal training will find some clients who don’t put too much effort and are not easily motivated. However, in a group setting, everyone tends to give their very best. As no one wants to lag behind. Another benefit of small group training is when the people in the group make friends and establish relationships not just within the group as exercise buddies but also outside of the group. This allows participants to be involved in regular group activities, encouraging each other, motivating each other and pushing each other until each one achieves their personal health and fitness goals. Small group training creates a committed tribe of participants incorporating different types of exercise and activity aimed at not just one person, but the collective group as a whole. The more variety there is in your exercise program, the more likely you will learn to enjoy every element of working out with a personal trainer in Dubai as part of a small group!